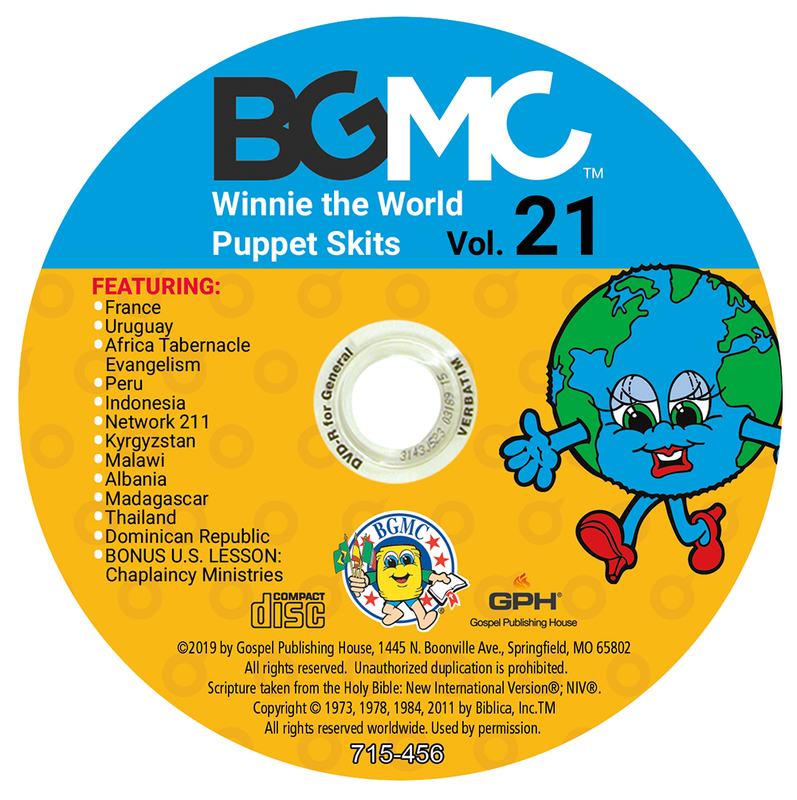 The Winnie the World skits from the Volume 21 annual BGMC missions manual have been pre-recorded. Each skit has background music for the country being studied. Use these skits for puppets, drama, and more.